VyprVPN is a VPN company supported by Golden Frog, taking pride in its registration within Switzerland – avoiding in this way both the hostile environment in the US and the UK-EU in terms of privacy. However, its physical presence in the United States is also evident and raises some suspicions. Owning its network of servers and depending on nobody else, VyprVPN succeeds in handling all the needs of the users without any additional helping hand. Let’s find out more about this VPN service provider, which has been around for quite a lot of time (ever since 1994), through our VyprVPN review. There is a wide range of special features, which VyprVPN offers to its users. As you will come to realize, no third parties are involved in the VPN service that you pay for. This means that, to quote their own words, “we can deliver fast, secure connections”. Despite the objection that we are going to highlight in the field of online security, the privately owned network is a great thing. Over 700 servers all over the world are interpreted into over 200,000 IP addresses for you to profit from. This is a growing network that provides the means catering to the needs of the users. There are apps available for every OS and device, while there is unlimited server switching without any hidden fees. NAT Firewall adds extra security layering to your connection, alongside the OpenVPN 256-bit encryption and Chameleon, as much as the VyprDNS that is offered for free. As we have already outlined, one of the major advantages of VyprVPN and Golden Frog is its privately owned network. Nevertheless, there is a confusion that needs to be addressed. Since VyprVPN is located in the United States and it adheres to the US-EU Safe Harbor Framework. Apart from the security concerns due to the location, the use of advanced encryption with the best security protocol types (like OpenVPN with 256-bit) is a positive step to the right direction. 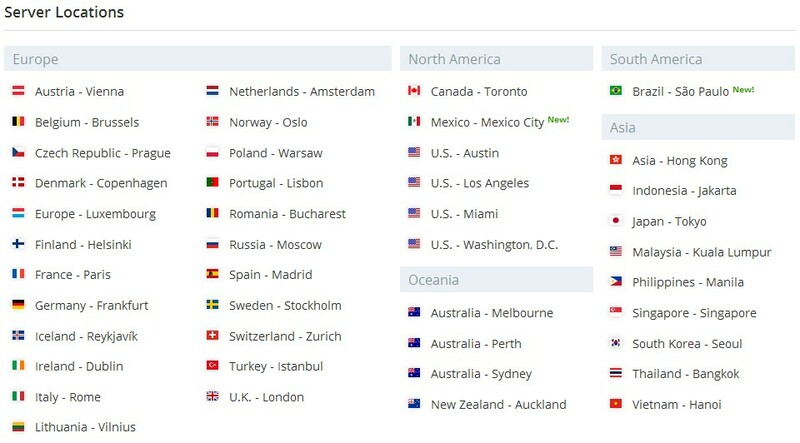 Moving forward with our VyprVPN review, there are 2 different plans for you to choose from. The first one is the Basic plan offered at $9,95 per month or $5.00 per month (when billed annually). 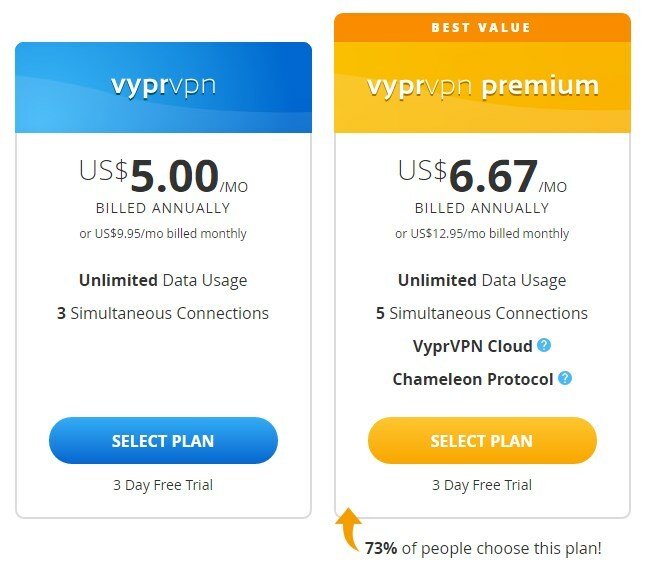 VyprVPN Premier plan is charged at $12.95 and $6.67 per month (annually). For three days, you can try VyprVPN for free (which could be a bit lengthier, without a doubt). 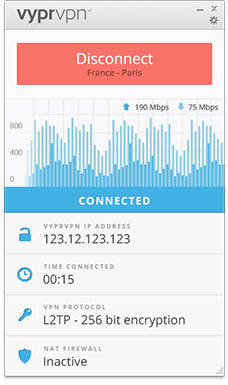 VyprVPN offers PPTP, L2TP / IPsec and 256-bit OpenVPN, as well as Chameleon. Of course, the plan you have chosen will determine the protocol that you use. In specific, the Basic plan only enables PPTP, whereas the two other plans offer all the security protocols. The interface offered to the users of VyprVPN is modern and simple to make use of. Regardless of the OS and device you use at a time, there are simple steps that you are encouraged to take for completing the process and starting the anonymous navigation online. Mac users will find it really great that there is no actual difference in the features and the functionality of the software and the apps provided. VyprVPN does not make any discrimination in the aspect of compatibility. This means that Windows and Mac OS X, iOS x and Android running devices can start using the VPN in no time. With detailed apps, Mac OS X can be served in an easy and reliable manner – and this also goes for iOS and Android, as well as Windows. Next, there are quite a few payment options available for VyprVPN users. In detail, Visa and MasterCard, American Express and Diners, JCB are all accepted, as well as PayPal. However, one thing that we have to admit is the fact that no Bitcoins are accepted – this is another breach in security. Another vital part of a VPN review is that of the support options and quality. The live chat is perhaps the best choice for users, in order to get instant feedback and receive the answers required. Apart from that, there is the knowledgebase where everything has been neatly structured and you can search effectively at the respective search bar. Alternatively, you can submit a ticket or read through the community and blog of the website. Dedicated IP types are provided to the customers of VyprVPN. Everything works great on the website of VyprVPN. The site uses SSL for encrypting all the data regarding the financial transactions, which makes your purchases perfectly safe. There is no delay in the navigation and this is a great thing, so as for the users to search more efficiently. VyprVPN and its privately owned servers’ network conclude in no additional loss of speed due to third parties and their interference. No matter if you use Mac OS or anything else on any device whatsoever, the speed is really consistent. Of course, with OpenVPN security protocol you can expect a little slower speed than other security protocol types. Now that we have concluded with our VyprVPN review, we should admit that there are many different features (such as the free storage at the cloud) that have drawn our attention positively about this VPN service provider. There is superb compatibility and the fact that the above mentioned VPN does not depend on any third parties makes it easier to get fast speed and great reliability. They don`t save logfiles (verified by Leviathan Security Group)!